Zhuang Hong Yi was born in ShiChuan, China in 1962 and is now based in The Netherlands. His impressive and expansive ouvre speaks of beauty, sophistication and a unique hybrid of Chinese and Western influences. 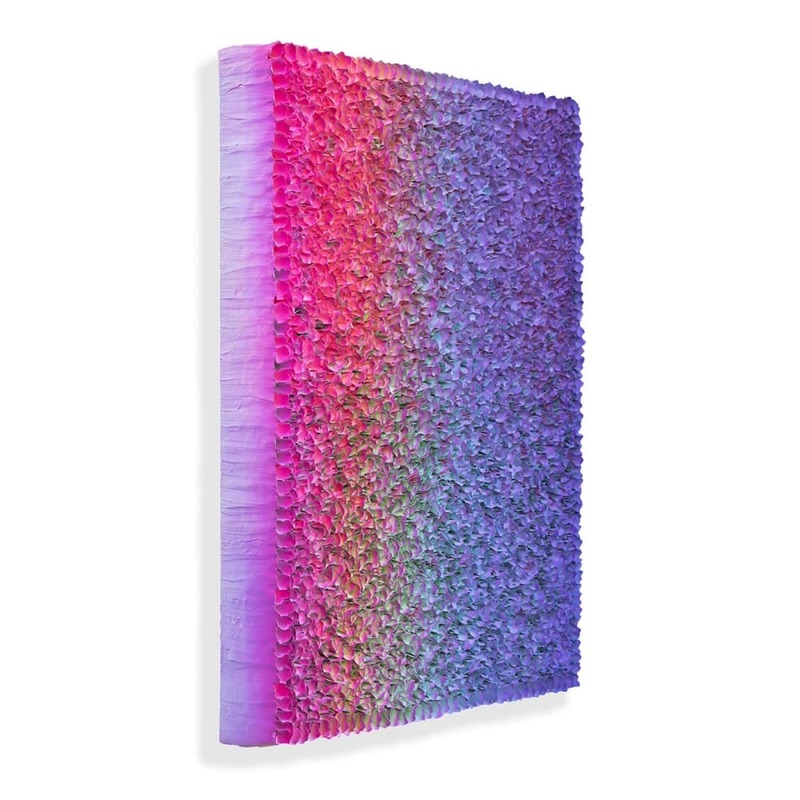 In Zhuang Hong Yi's work, one can recognize features from his Chinese background, thoughtfully combined with an in-depth knowledge of Western contemporary art. This is the result of his upbringing and education in China and the international 'European' experience he has gained since 1990, when he moved to the Netherlands and eventually settled with his wife Lu Luo, also an artist. Even after many years of residence in Europe, Zhuang still holds his studio in Beijing, China, where he returns a couple of times a year to work, collect new materials and to find inspiration. Zhuang's work exists in many different forms, shapes, materials and sizes, often characterized by a daring and surprising mix of bright colors. The element of surprise is always evident in Zhuang's work. His ongoing series, 'Flowerbeds' is as innovative as it is sublime. Fields of hand-folded rice paper 'flowers' are mounted tightly onto canvas and sprayed from multiple angles with high-key acrylic colour. The result is a three-dimentional painting, the colours of which transition as one walks past. These works are the perfect amalgamation of his past and present; the flower an important symbol of both Chinese and Dutch identity, the materials bringing Chinese history into a contemporary context.